Carly Rae Jepsen has recreated the iconic “This Is Your Brain On Drugs” public service announcement, more specifically the Rachel Leigh Cook version of it from the ’90s. She made it to promote her recent single “No Drug Like Me.” She, of course, says, “This is what happens to your brain when you listen to ‘No Drug Like Me. '” Why?, you might ask. Great question. Why not? 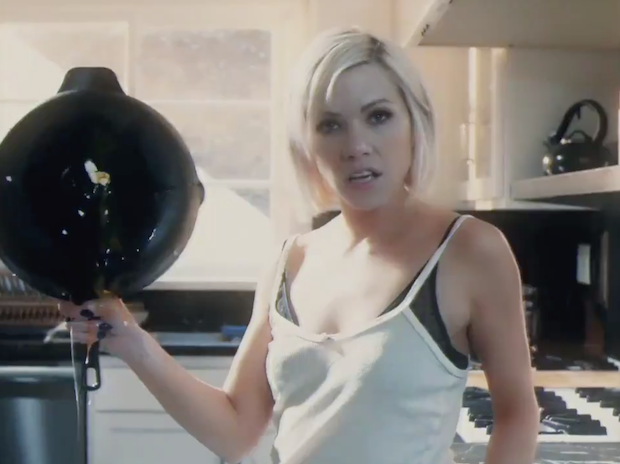 Check it out below if you ever wanted to watch CRJ swing a frying pan around.